Police officers and detectives investigate the death of a woman at the Silver Creek Apartments in Woodstock Tuesday afternoon | Photo by Alex Vucha. 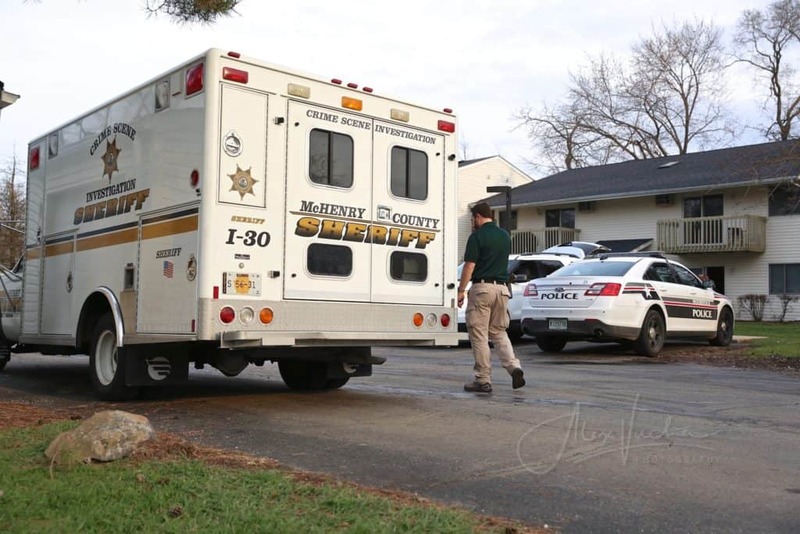 The McHenry County Major Investigation Assistance Team was called to an apartment complex in Woodstock after a woman was found dead Tuesday afternoon, police said. The Woodstock Police Department and Woodstock Fire/Rescue were called at 1:33 p.m. Tuesday to the Silver Creek Apartments, 1526 North Seminary Avenue, for a report of an unresponsive woman. Police and paramedics made entry to an apartment and found a woman deceased, Woodstock Deputy Police Chief Ray Lanz said. The McHenry County Major Investigation Assistance Team (MIAT) was called to the scene to assist Woodstock police in the investigation. 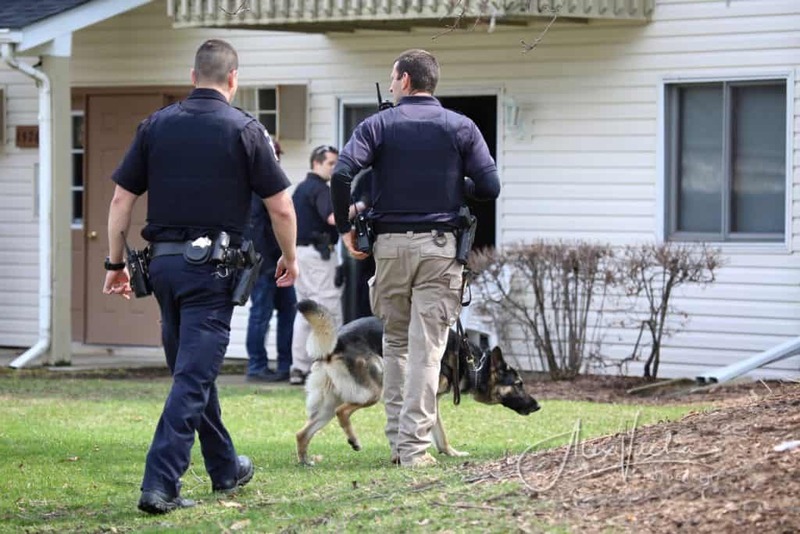 A heavy police presence swarmed the area and canine dogs were called to the scene. Woodstock Community Unit School District 200 schools were notified about the situation and students were not allowed outside as a precaution, school officials said. Lanz said that the cause of death is unknown and will not be determined until an autopsy is completed by the McHenry County Coroner’s Office. Residents of the apartment complex will be allowed to enter their units, he said. Lanz would not release any further information about the death, citing the active investigation, but he said that there is no threat to the public. The McHenry County Sheriff’s Office assisted the Woodstock Police Department at the scene.